From reviews of the first edition (1994): "Extraordinarily well written . . . "
"A readable chronicle aimed at a general audience . . . Graceful and accessible . . . "
"Has the potential to be a political bombshell in radical circles around the world." 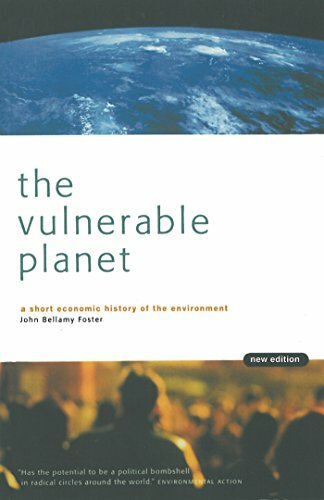 The Vulnerable Planet has won respect as the best single-volume introduction to the global economic crisis. With impressive historical and economic detail, ranging from the Industrial Revolution to modern imperialism, The Vulnerable Planet explores the reasons why a global economic system geared toward private profit has spelled vulnerability for the earth's fragile natural environment. Rejecting both individualistic solutions and policies that tinker at the margins, John Bellamy Foster calls for a fundamental reorganization of production on a social basis so as to make possible a sustainable and ecological economy. This revised edition includes a new afterword by the author. About: From reviews of the first edition (1994): "Extraordinarily well written .